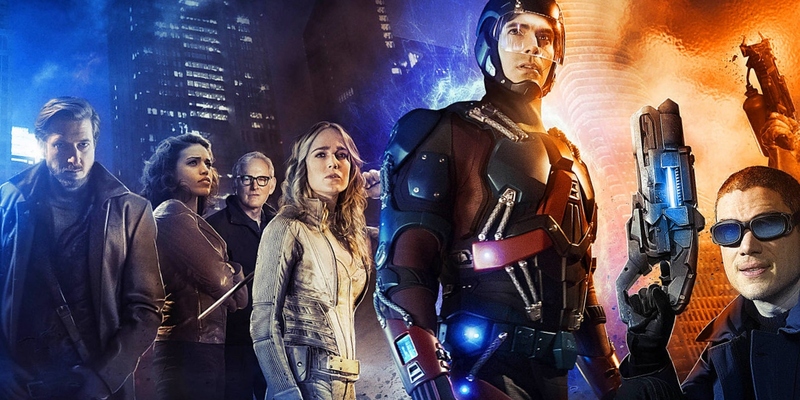 The latest episode of Legends of Tomorrow teased about the appearance of Connor Hawke, the green arrow in Star City in the year 2046. It was amazing to see Cisco showing up briefly on the show, to extract chemical formula from Prof. Stein for stabilizing Thermo-core of the Soviet Firestorm in the year 1986 at the peak of cold war. And finally, we are going to see Arrow crossover with the Legends, as the next episode is entirely based on Star city. “We can go back and see the pre-history of both Arrow and Flash, and we can also go and see what season 50 of Flash or Arrow would look like. But if we return to Star City or Central City, what we’re looking at is not just the future, but an It’s a Wonderful Life future, because in this future, our guys have been gone for 50 years. They left in 2016 never to return”. “Part of the conceit of the show and going all throughout time is the fact that we can visit all these different corners of the DC Universe. The show functions on a lot of different levels, but one of the levels it functions on is as a love letter to the DC Universe, and Connor is a great example of that”. In DC comics, he is a child of Oliver Queen and his African-American Korean girlfriend Sandra Hawke, but in the show this character does’nt have direct lineage with CW’s Oliver, he is someone who is inspired from the vigilante, steps up and take the mantle. Stephen Ammell has been tweeting his pictures of appearing in the Legends of Tomorrow, and guess what he is a one-armed archer (with a bionic arm) fighting death-stroke in the future Star city. Guess, there is a lot to look forward to in the next episode.